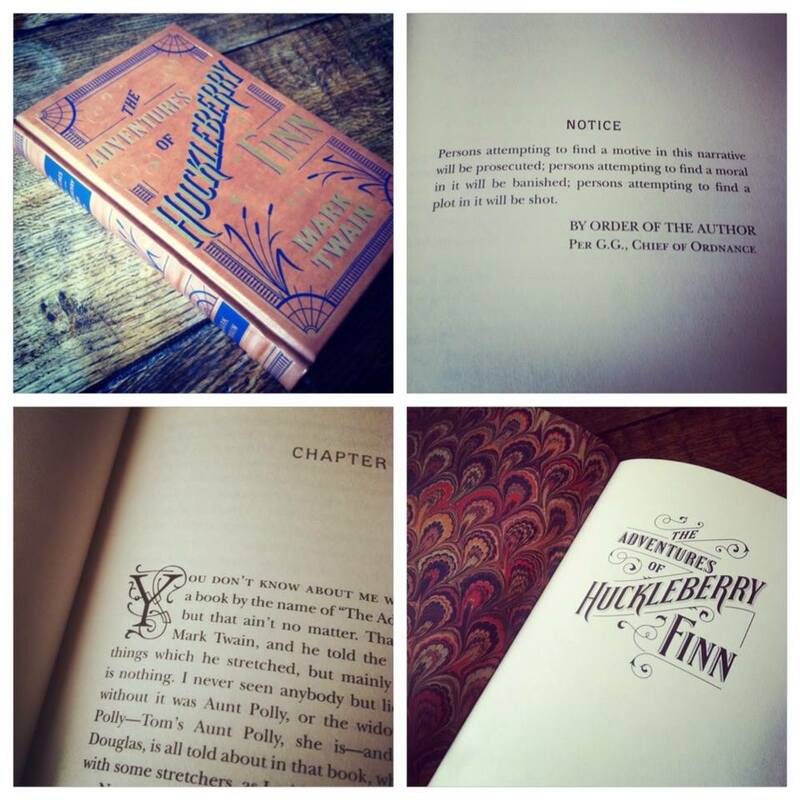 BookLove: Just how gorgeous is this edition of Huck Finn?! Just a quick one. I’m in love. In love with Mark Twain, in love with The Adventures of Tom Sawyer (which I’ve finally read, about twenty years too late) and especially in love with this beautiful edition of Huck Finn. Brown and blue leather, blue gilded edges, gorgeous typography. If only they made all books like this.